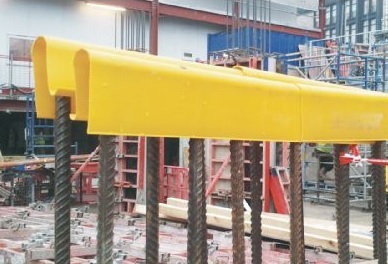 Nevosafe is a safety strip featuring a steel core designed to protect workers from rebar injuries, including impalement. They are reusable, quick and easy to install and remove. Nevosafes are secure and stable on all standard reinforcing steel diameters and can be used in horizontal and vertical applications. The strips are 1 metre long.